Vintage metal wall rack / bookshelves from the sixties. The metal is perforated with squares. 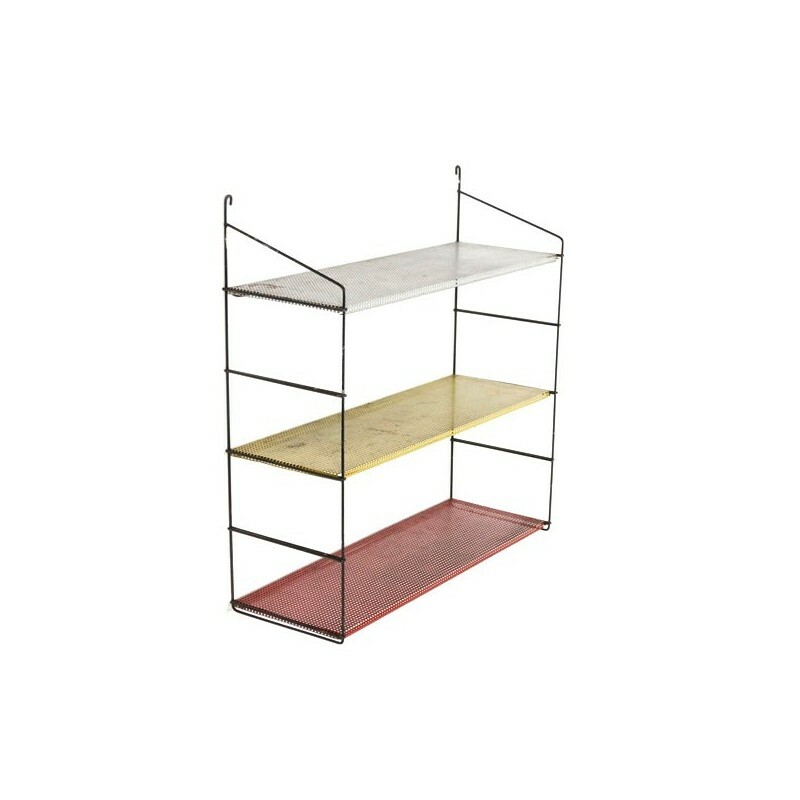 The system consists of three shelves in the colours gray, yellow and red. 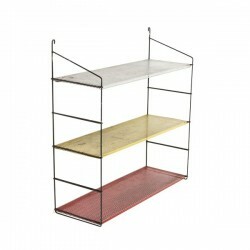 The condition is reasonable given the age, there are clear traces of use, see detailed pictures. The size is 60.5 cm L / 20 cm W / 63 cm H.